Designing papers with some kind of patterns offers us a nice break from the straight and traditional. 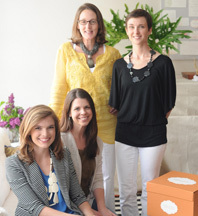 Sometimes we have clients like find a wallpaper, or fabric, or even a painting that they want us to use as inspiration, while others are wide open to our offerings. A backing is a great place for someone who may be ready to branch out and still likes the idea of tradition… you know, kind of like business in the front, party in the back!!!! 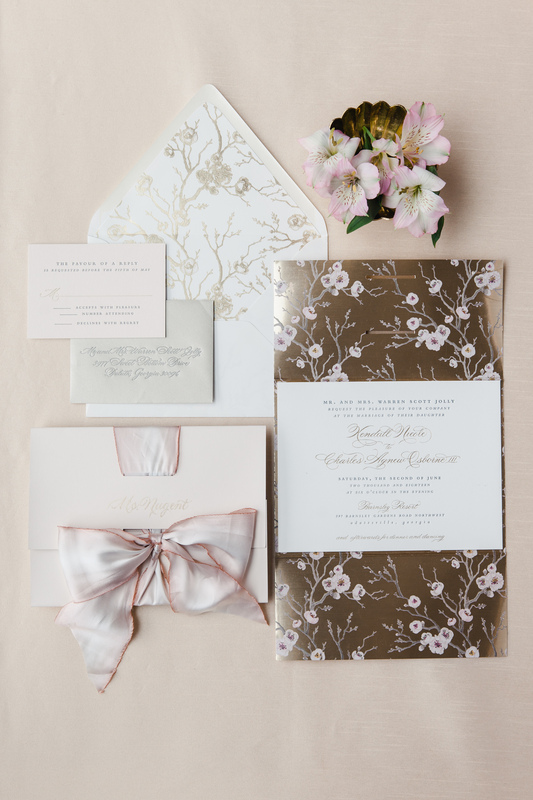 For this wedding invitation suite, a spring time cherry blossom pattern was prominent on the invitation itself, but a one color complimentary version also worked well as the envelope liner. 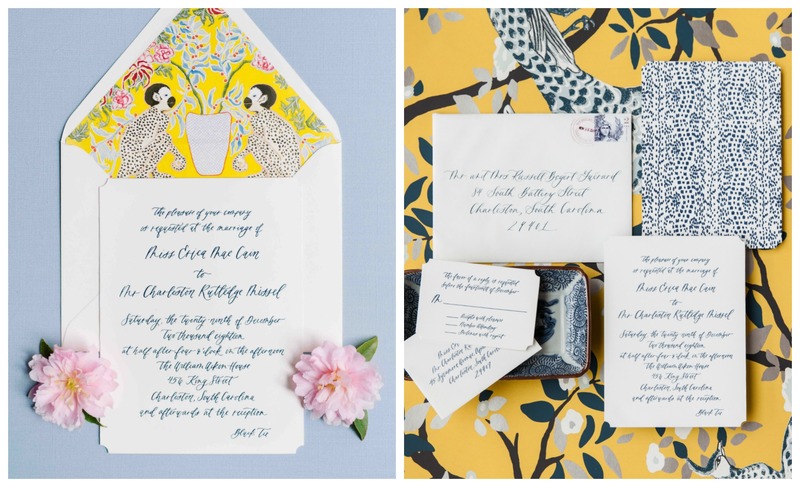 Our bride brought us the yellow wallpaper on the right as her inspiration that would be used throughout the wedding design. 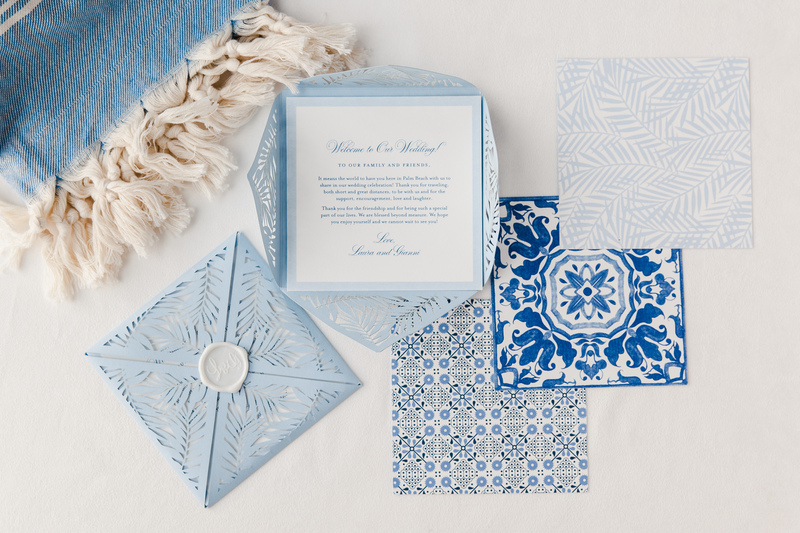 So to keep in line with the design vibe an element of the paper was used to pattern the back, and a reworked version was created as the envelope liner. 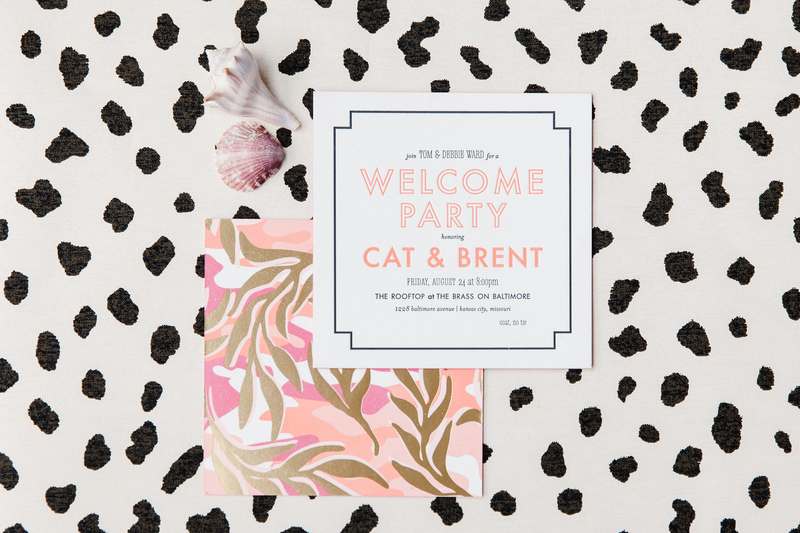 For a wedding in Palm Beach, Florida, coastal tiles were the inspiration for the varying patterns backing the wedding weekend information packet. Placed together they gave a pretty display for guests. 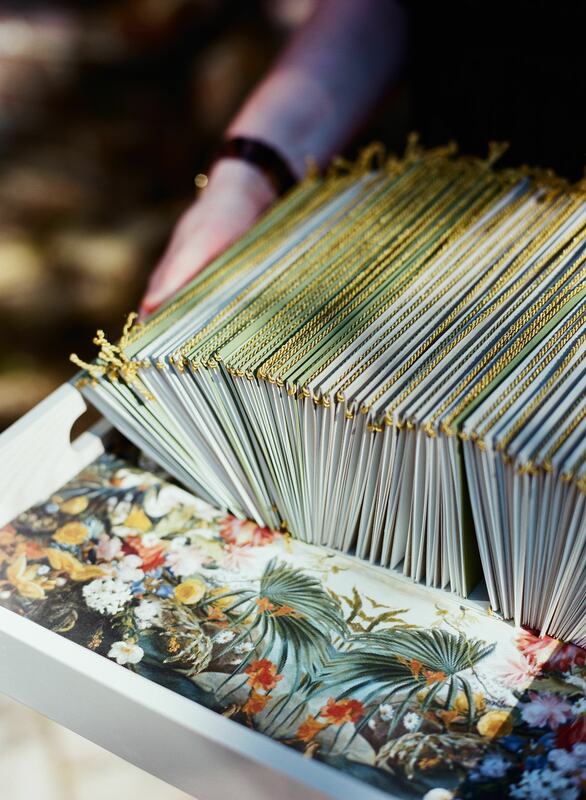 We created a repeating botanical print that was used to bind the wedding programs and printed as paper tray liners for the cocktail hour. 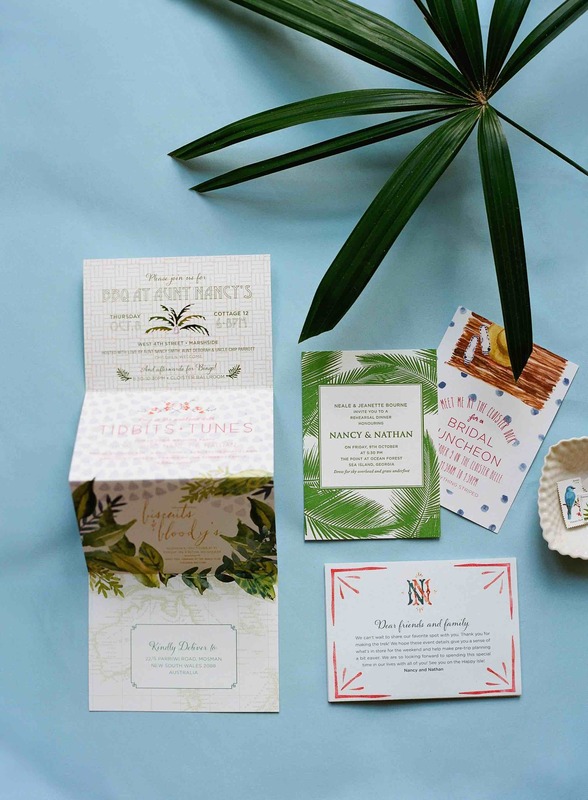 For this same wedding’s information packet, several patterns were created around a watercolor monogram crest we designed or taken from the botanical print, then decomposed to use on many different pieces, like the party pack and rehearsal dinner invites.